OK, so after the leaks we got a look at the P30 and the P30 Pro from Huawei here in Paris. As we expected, there’s a clever camera setup with a 10x zoom. The P30 Pro gets a Leica Quad Main Camera, whilst the P30 has a Leica Triple Main Camera. Great for low-light and night shots. We saw a demo against the new Samsung Galaxy S10 Plus and iPhone XS Max. Those comparison shots showed a clear difference, with the P30 and P30 Pro producing excellent shots. What was interesting for me was the fact that it runs the same CPU as the Honor View20 – the Kirin 980. It also has a similar screen. 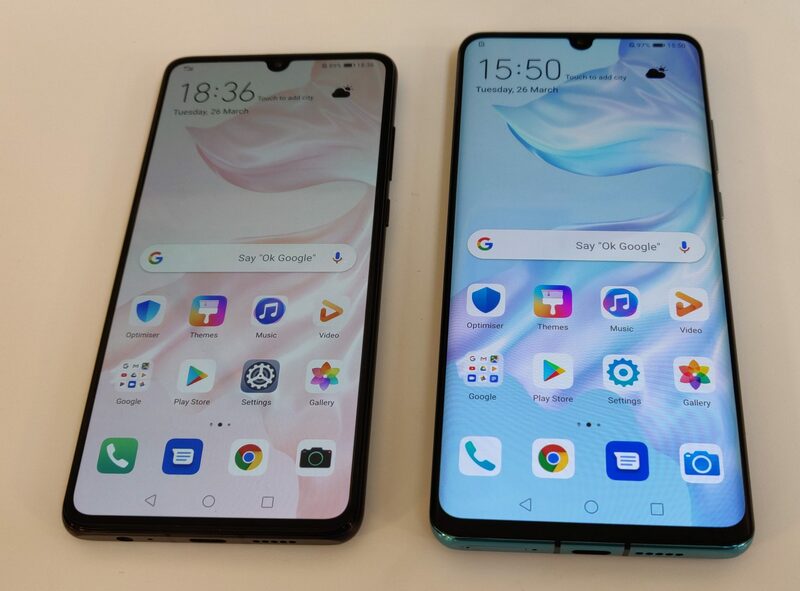 There’s a 2340×1080 on the P30 / P30 Pro, compared to 2310×1080 on the View20, and the bigger 6.47″ screen on the P30 Pro is very close to the 6.4″ on on the View20. There’s a similar memory and storage setup and the battery on the View20 is bigger than the P30 (although the P30 Pro beats it). 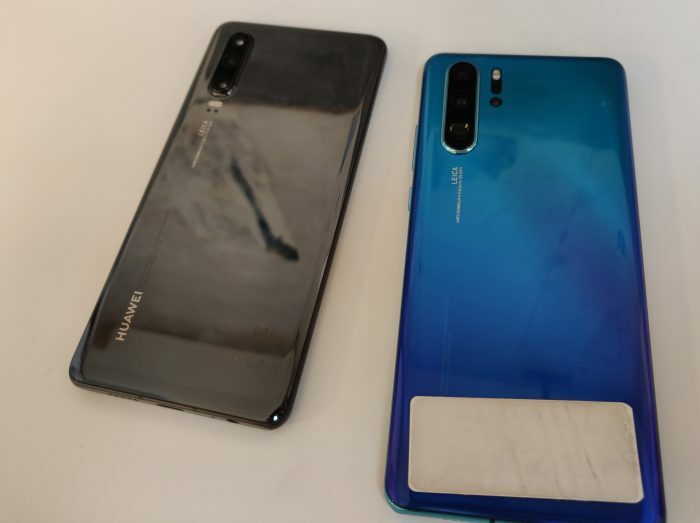 I’ve no doubt that the camera tech is better on the P30 and P30 Pro, and yes – those curved screens are great – but all these phones are made by Huawei and the Honor View20 is £499.99, whereas the Huawei P30 is £699 for the base model whilst the P30 Pro starts at £899. 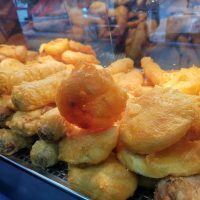 OK, I’ve had my little rant.. Now, we’ve got a number of mobile networks who want you to know about their P30 and P30 Pro deals, so here’s an overview. If you get the P30 or the P30 Pro on pre-order you’ll get yourself a Sonos One (Gen 2), which is worth £199. No up-front cost here and the UK’s lowest monthly price according to the network. Virgin operates across the EE masts and they’re doing the P30 from £28 per month or the P30 Pro for £34 per month. If you have Virgin Media cable you can get the Huawei P30 or P30 Pro with unlimited texts, minutes and data on the “Truly Unlimited” plan from £49 a month for the P30 and £55 a month for the P30 Pro. The network also do WhatsApp, Facebook Messenger and Twitter data for free, so it doesn’t use your allowance. Both devices are available in Aurora, Midnight Black and “Breathing Crystal” (I know). The P30 Pro (512GB) will also be available in Amber Sunrise. 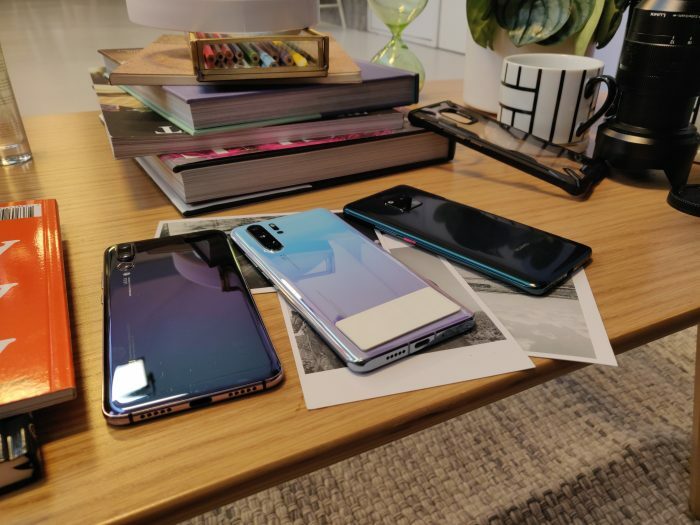 The P30 Pro is available here and the P30 here. The network will be ranging both devices and you can head to ee.co.uk/huawei to pre-order. Again, there’s a free Sonos One on offer if you buy. The P30 is available from £39 per month and the P30 Pro from £49 per month. 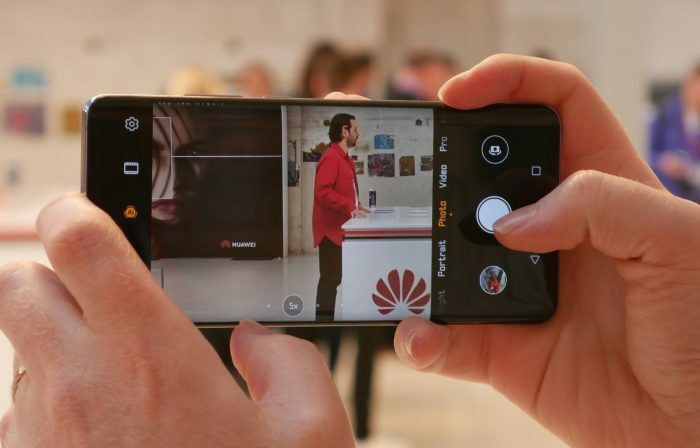 Should you choose the 128GB Huawei P30, you can perhaps choose the 10GB data plan, which gets you unlimited everything else for £43 per month. That needs a £30 up-front free. £48 per month gets you a massive 60GB of data for the same price as 20GB. £10 upfront on that and unlimited everything else. The P30 Pro is also available for £53 on an Essential plan with 10GB data, unlimited texts and minutes plus £30 upfront. The 60GB-for-the-price-of-20GB offering is £58 per month and £10 upfront. 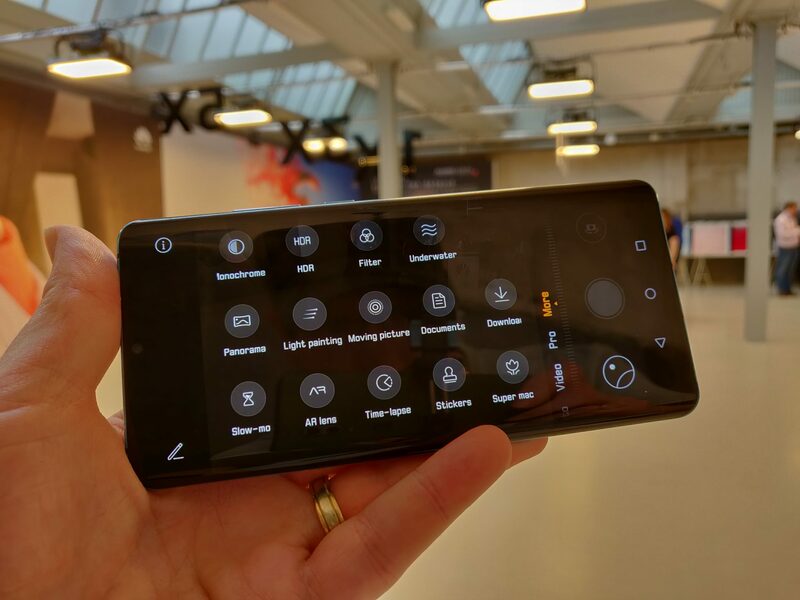 There’ll also be an “Amber Sunshine” P30 Pro (512GB) version with prices starting at £59 per month. Sitting on the O2 network, Sky are offering the P30 and P30 Pro from 32 and £39 respectively on a Swap24 plan with 1GB of data and unlimtied everything else. You’re going to want more data though, so you can choose 2GB, 8GB and 25GB monthly allowances for an additional £6, £4 (usually £9) or £19 a month respectively. Sky offer a range of plans allowing you to either roll over your data allowance, alter your plan monthly, binge on TV with data-inclusive TV or their “Swap” option which lets you upgrade your phone earlier than usual contracts. Head here for the deals. Again, free speaker if you pre-order and they’re eager for me to tell you about the Red Entertainment plans which deliver either Amazon Prime Video, Sky Sports Mobile TV, Spotify Premium or a NOW TV. Get a Red Entertainment plan and you also get unlimited texts and unlimited minutes. The 50GB deal for the Huawei P30 is £49 per month (£9 upfront cost), whilst the Huawei P30 Pro is £53 per month (£29 upfront cost). Voda are also offering other plans, including the P30 on a Vodafone Red Extra plan for £46 per month (£29 upfront cost). That gets 60GB data plus unlimited everything else. The P30 Pro is £50 per month with a £49 upfront cost on that same plan. Go to Vodafone for more info.